Sam Adams founder Jim Koch knows a lot about beer, including how to drink a ton of it without crossing into "calling-your-ex-at-4am" territory. And it's kinda gross. Koch disclosed to Esquire that, for years, he's been consuming dry yeast before he starts drinking, and somehow it prevents him from going overboard. 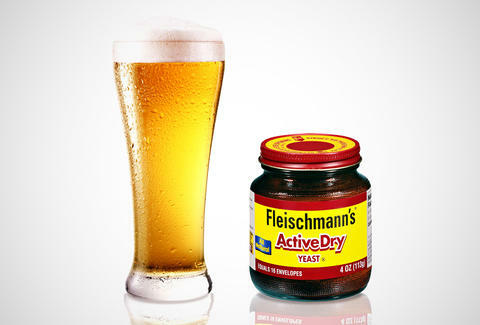 Koch's secret is one teaspoon per beer, and he says eating it tends to be easier if you dump the stuff in some yogurt. He apparently got that tip from the late brew genius Joseph Owades, who served as a consultant for a ton of your favorite breweries. Owades' trick only lessens the effects of beer -- don't get crazy with that Red Dog -- but both Koch and the Esquire writer who interviewed him claim it does wonders. Chowing down on yeast does not seem even a little pleasant, but if Koch is to be believed, it might be just the thing to save you from getting fired at the company holiday party. Kristin Hunt is a food/drink staff writer for Thrillist, and would need something better than yogurt to even consider this venture. Follow her at @kristin_hunt.